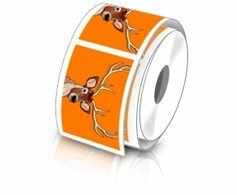 Make a mark at easy rates and get your message stick longer with custom labels! Put your brand on your products, mailers or inventory and see how the world takes note of you! Just upload a design or create your own with free proofs before you pay. You can easily choose from your favorite shapes or get them die cut to the image of your choice to complement your brand! 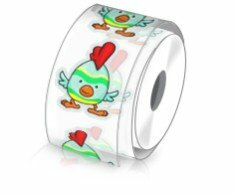 Custom labels make a perfect low-cost promotional item that gets seen every day! Create a long lasting impact without breaking your advertising budget with our labels. 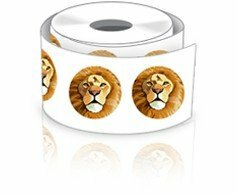 These custom labels are perfect for direct mail campaigns, packages, promotional gifts and more. 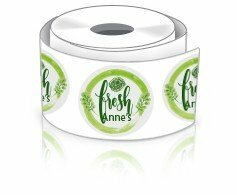 Personalize these superior quality white or clear vinyl labels with your own words and grab easy attention. 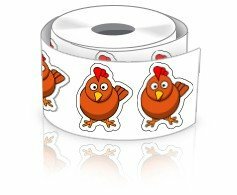 These self-adhesive labels offered in cut-to-size or roll are easy to use and are perfect to label baked goods, store products, wine bottles, wedding venue seats and more. 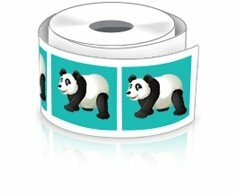 Impress your audience with your very own personalized full color labels that will look great anywhere! Custom labels can be imprinted with your brand, artwork, mascot or message to highlight your brand identity, social cause or infact convey any message. Get it printed with your own design or choose from our free templates and designs to grab easy attention. 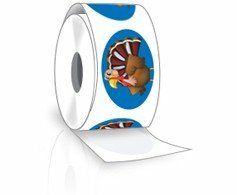 We have labels for all business niches including food and beverage, healthcare, education, retail and a lot more. We can help you create the best labels; just call us at 855-762-4638 or reach out to us at info@Cmagnets.com.